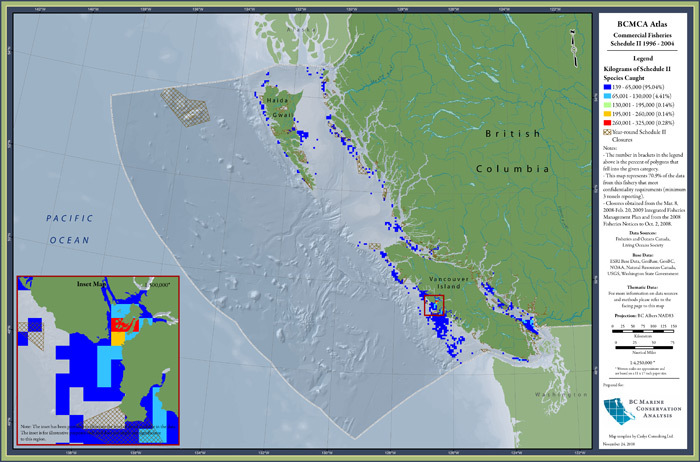 description — Estimated catch (kilograms) for the schedule II commercial fishery (1996-2004) shown in 4km x 4km grid cells. 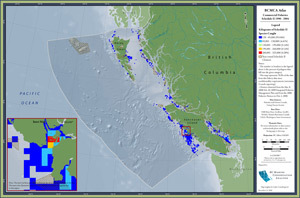 Lingcod and dogfish are part of Schedule II and are two of seven commercial groundfish fisheries on the Pacific Coast. Some rockfish are also caught as part of Schedule II.